For good overall performance and value, the Black Diamond is your prop. 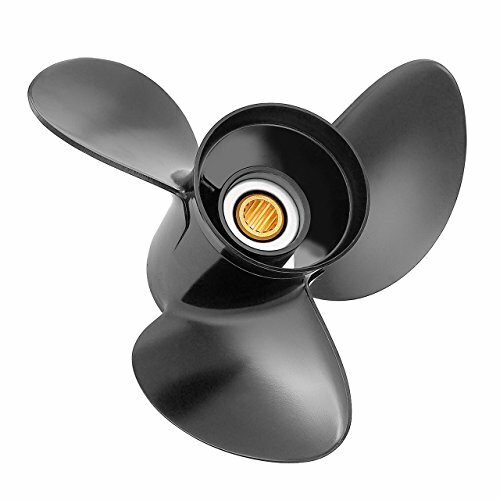 While Black Diamond aluminum propellers are standard equipment on most boats with Mercury/Mariner/MerCruiser power, they are a perfect replacement for all engine brands through the use of the Quicksilver Flo Torq II hub system. The Black Diamond is recommended for use on boats with up to 250 Hp and with a top speed of less than 50MPH. The high quality casting and durable high-gloss Phantom Black finish make it easy to maintain & repair. The RITE-HITE polymer wrench is easy to use with a long handle for extra leverage. Has an extra deep well socket head. Fits all outboards with 1 1/16" prop nuts. Made for OMC motors over 40HP and Mercury motors over 50HP. Good wrench to have in your boat in case of emergencies. 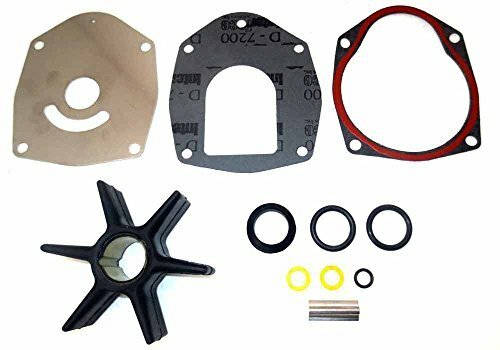 The item for sale is a brand new water pump impeller kit for Mercury Outboard and Mercruiser Alpha One Gen II sterndrives. When it comes to optimal performance, a one-size-fits-all approach is not optimal. MotorGuide offers a complete line of performance-tuned propellers to enhance your motor's all-around performance in any application. The Machette III Propeller is designed for a fast and efficient performance on a range of trolling motors including 12, 24, and 36-volt models. The Machette III's 3.5-inch hub features a tapered hub design by Mercury Propellers, that improves its speed and overall efficiency. The Machette III prop comes complete with a prop pin and a prop nut. 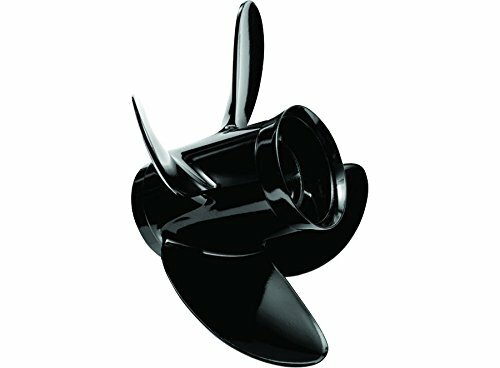 Quicksilver propellers can improve performance of any boat through the use of Flo Torq hub systems. Flo Torq hub systems are durable, provide lower unit protection and are also field serviceable. 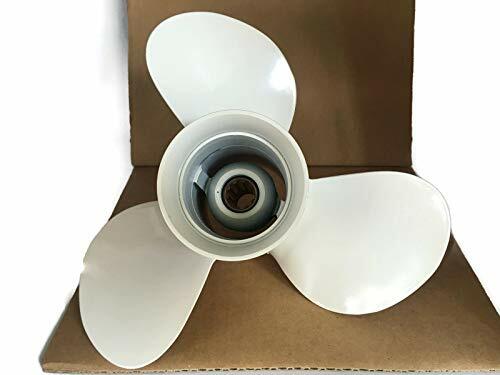 Boat part number 1075383 is a new Spitfire 4 blade 10.3 x 13 pitch, right hand rotation propeller from Mercury Marine, part number 48-8M8026630 . The Spitfire provides 16-25% faster acceleration, superior holding with no penalty in top speed vs. a comparable 3 blade aluminum propeller. This is a 10.3 x 13 pitch, 4 blade right hand rotation propeller. Measures approximately 3 3/8" OD across the back of the hub. 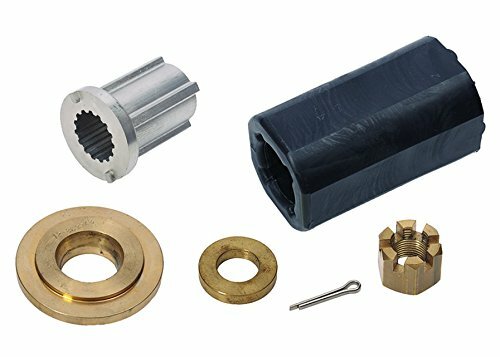 Includes Flo-Torq Reflex Hub Kit, part number 835257K12 . Fits: 25 HP BigFoot, 30 HP 4-Stroke (2005 and earlier) 40-60 HP 2-stroke and 4-stroke outboards Specifications: Part Manufacturer: Mercury Series: Spitfire Part Number: 48-8M8026630 UPC: 745061890268 Size: 10.3 x 13 Pitch Blades: 4 Material: Aluminum Color: Black Finish: Phantom High-Gloss Rotation: Right Hand / Standard Sold as seen in pictures. Customers please note every computer shows colors differently. All measurements are approximate. Hardware is included / installation manual is included. Do you want to take your boats performance to the next level? Welcome the Quicksilver Nemesis - the world's first performance aluminum propeller. The Nemesis will provide a 16-25% faster acceleration, superior holding with no penalty in top speed vs. a comparable 3 blade aluminum propeller. If engine RPM is appropriate with 3-blade prop, replace with the same pitch Nemesis propeller. The high quality casting and durable high-gloss Phantom Black finish make it easy to maintain & repair. 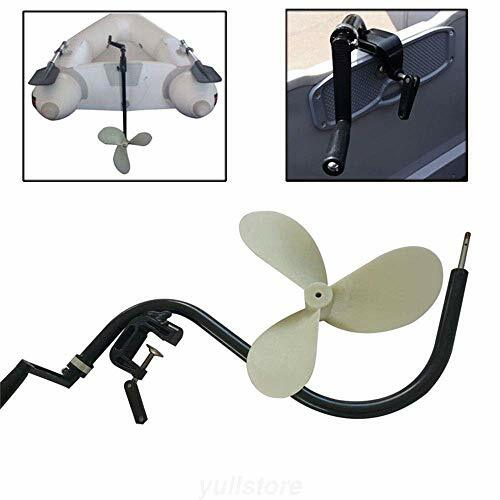 The hand operated outboard is a hand operated propeller designed to push small watercraft in both forwards AND! reverse! This trolling motor is suitable for any small craft up to 4.50 metres long such as a tender, dinghy, inflatable or tinnie. 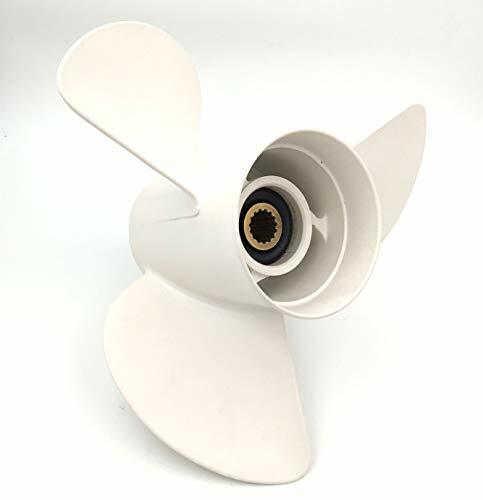 Tdogs Boat Propeller is aimed at boaters who want a simple,environmentally-friendly propulsion system which requires no fuel, no charging and produces no pollutants. Outboard Motor is ingenious in its design, yet is very practical and easy to use.Our inflatable boat motor has a unique 3:1 gear ration which makes it simple and easy to propel in either a forward or reverse direction with just the turn of a handle. No noise, no costs and no pollution . Specializing in high performance propellers designed for electric trolling motors. 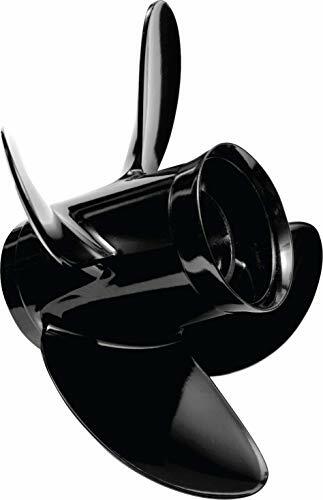 These propellers are designed for electric trolling motors that afford anglers/boaters a more enjoyable and convenient fishing/boating experience. 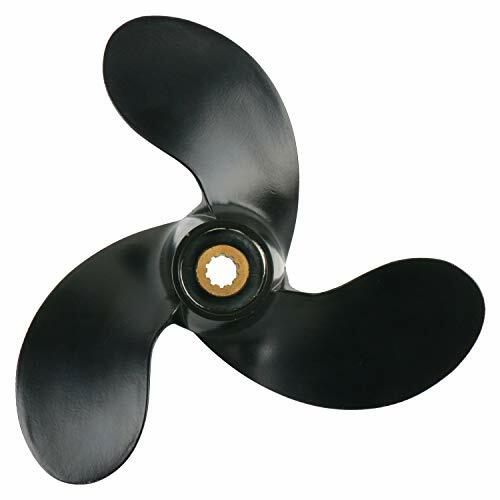 Kipawa propellers are made with nylon and a fiberglass composite for Strength, Durability and Quality. The Kipawa Propellers are designed for long range bodies of water, weedless or semi-weedless and weather conditions (windy days). We offer a 30 day money back guarantee and a 1 year warranty. 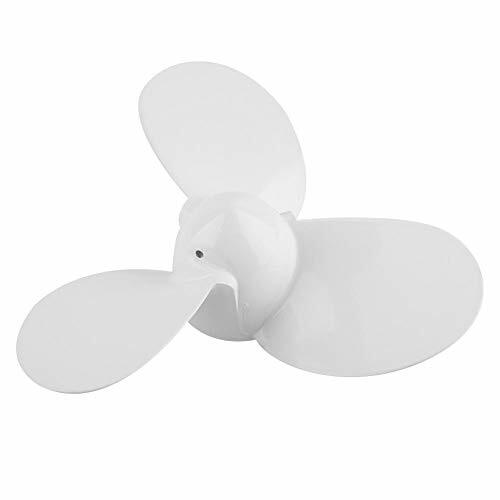 We have 7 Kipawa propeller models to fit over one hundred motors. 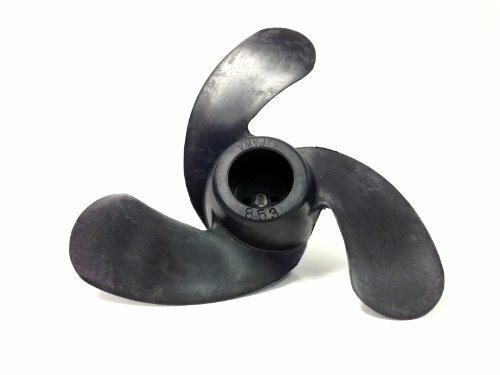 If you don't see your motor listed please check out our other propellers to find the right one. Greater power and increased speed. Better boat handling for windy conditions and currents. More distance traveled per battery charge. 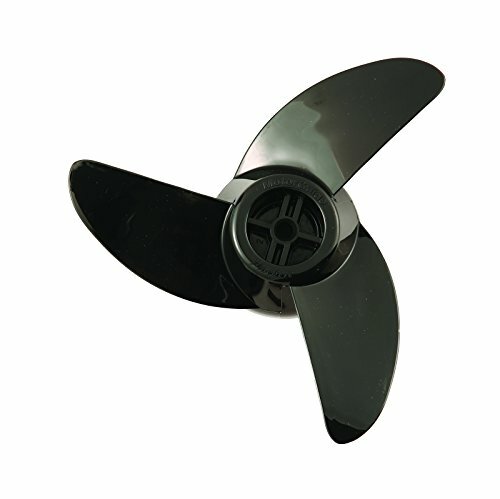 Brand: Kipawa Propellers | Manufacturer: Eastlake Air Foil Inc. 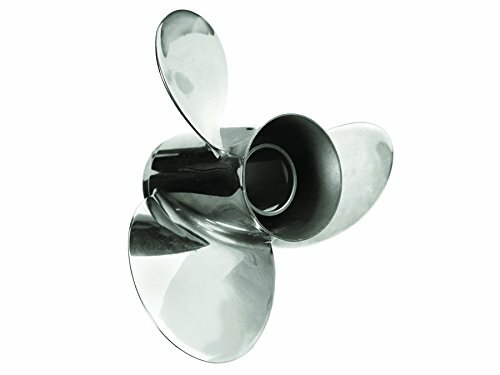 The Silverado three-blade stainless steel propeller is an excellent choice for the boater who wants to upgrade from an aluminum prop as stainless steel is over 5 times more durable than an aluminum prop. 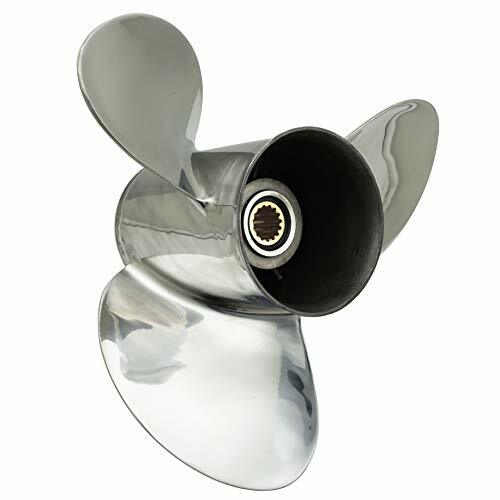 The Mercury Silverado is a fine propeller for outstanding durability and good overall performance on most outboard and stern drive powered boats. ---------------------------------------------------------------------------------- Polaris Service: Free return.Quality and performance are guaranteed. Any questions do not hesitate to contact us. Fits YAMAHA Engines 150-250HP, please refer to below product description for detailed engines application. 3 Blades; 15 tooth spline Spline Tooth; Right Rotation. Material: Made by high quality stainless steel. Polaris Service: Free return.Quality and performance are guaranteed. Any questions do not hesitate to contact us. The hand operated outboard is a hand operated propeller designed to push small watercraft in both forwards AND! reverse! it is suitable for any small craft up to 4.50 meters long such as a tender, dinghy, inflatable or tinnie. It is aimed at boaters who want a simple,environmentally-friendly propulsion system which requires no fuel, no charging and produces no pollutants. It is ingenious in its design, yet is very practical and easy to use. It has a unique 3:1 gear ration which makes it simple and easy to propel in either a forward or reverse direction with just the turn of a handle. No noise, no costs and no pollution . Attention please!Please slowly and gentle turn the handle of motor, otherwise the gear inside the transmission will be spoiled. No Petrol, No Oil, No Battery, No Pollution ! Cost Nothing to RUN ! Ideal for your tender, dinghy, small inflatable or tinniecarry bag and repair kit. No Petrol, No Oil, No Battery, No Pollution !Cost Nothing to RUN ! Guarantee the quality is the basic rule.WUPYI is dedicated to providing quality services, quality products and fast delivery(US WAREHOUSE). Any question,please contact us. 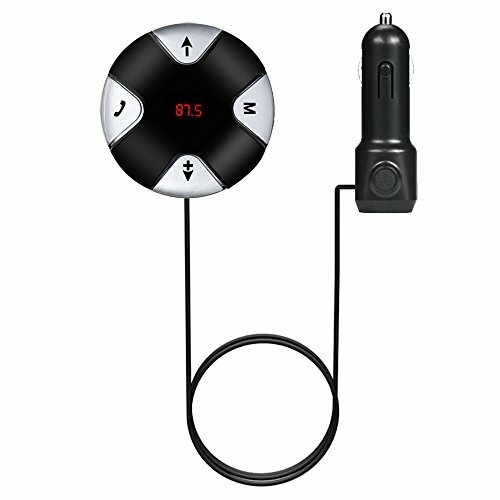 Connect two Bluetooth devices at the same time: Pair the Bluetooth receiver to the first phone . Turn on the Bluetooth function of the second phone . Search for the Bluetooth devices and select LinK-BT4823 and click connect . Remark: Auto connect funcation,the receiver will connect to the last connected phone automatically when it turns on. Application: Especially designed for Hangkai 3.5HP. Easy to use: Easy to install and convenient, replace old or broken ones directly. High performance:Three blades are designed to increase speed and efficiency.there is a calibrated vent for high speed hole shots. Improve handling and boat lift. Material: Durable and practical, made of high quality CNC aluminum material. Lightweight and convenient to carry. Stable characteristics, high reliability. Quality assurance: We offer a 24 month product warranty, please feel free to contact us if you have any questions after receiving our product, we will do our utmost to solve your problem I will do my best. You can purchase with confidence. F250(4 stroke)...2002-newer Polaris Service: Free return.Quality and performance are guaranteed. Any questions do not hesitate to contact us. Material: Made by high quality aluminum.